The movie expert had a 20-year relationship with theater director-producer David Staller. 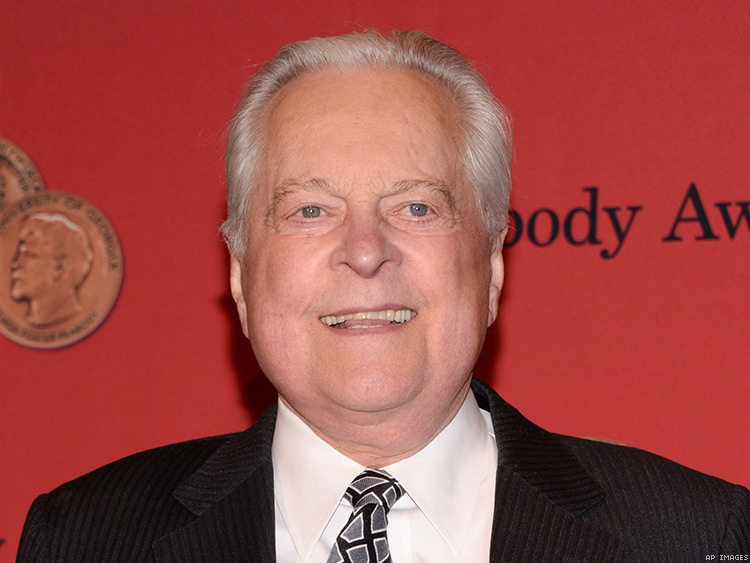 Robert Osborne, who died today at age 84, was beloved by movie fans for his work as the primary host on the Turner Classic Movies cable channel, but little was generally known about his personal life. With his death, that has changed. Osborne had been in a relationship for the past 20 years with David Staller, a New York City theater producer and director. Staller was the one who confirmed Osborne’s death to the Los Angeles Times. Osborne had apparently been in poor health for a few years. He took a three-month medical leave of absence from the channel in 2011, then returned to somewhat lighter duties, Variety reports. He had been seen little on the air in the past couple of years, and citing health reasons, he skipped the two most recent editions of the TCM Classic Film Festival, an event held annually in Los Angeles since 2010. “There’s nothing quite like seeing these movies on the big screen. ... We love the fact that people love TCM, and we love to bring you movies on TCM, but we also love this other experience to be felt by people.” he told The Advocate in advance of the inaugural festival. He had been prime-time host of the 24-hour, commercial-free movie channel since it debuted in 1994. He was a genial and knowledgeable presence, sharing extensive information about each film he introduced. He had lived in New York City since the late 1980s and traveled to Atlanta about once a month to shoot the segments at TCM’s studio there, according to Variety. But he was a true Hollywood insider, having spent much of his life in Los Angeles, first as a struggling actor and then, more successfully, as a longtime journalist for The Hollywood Reporter. He joined the publication in 1977 and authored its Rambing Reporter column from 1982 to 2009. “He wrote breezy, personality-oriented items and also reviewed films and Broadway plays,” Variety notes. He grew up in the small town of Colfax, Wash. He developed a love of movies there, he told The New York Times in 2006. “I’d see Clifton Webb and Gene Tierney in Laura and Bette Davis in All About Eve, and I’d think, Those people are so much more interesting than what I’m living around in this town,” he said. He majored in journalism at the University of Washington and then joined the Air Force. He was stationed in Seattle, where he started acting in plays. One of the actresses he appeared with — Grapes of Wrath Oscar-winner Jane Darwell — suggested he go to Hollywood, the Los Angeles Times reports. Once there, he signed a contract with Desilu Studios, where Lucille Ball was nurturing a group of young actors, according to the L.A. Times. He had some small roles in television in the late 1950s and early 1960s, but ultimately Ball advised him to try writing instead of acting. Ball was one of several major stars he counted as friends; Bette Davis was another. In addition to his work with The Hollywood Reporter and TCM, Osborne wrote several books, including official histories of the Academy Awards. He also had a stint as the red-carpet greeter at the Oscars and occasionally hosted events at the Academy headquarters. Staller has had his own distinguished career. He is founding artistic director of Gingold Theatrical Group, which he created in 2006 “to present work championing human rights with the writings and precepts of George Bernard Shaw as its guide,” according to the group’s website. He has produced and directed numerous shows for that company and others, and he has acted in several Broadway and off-Broadway productions and appeared in television shows and commercials. He is a longtime member of another New York theater group as well, the Actors Company Theatre. He has also been a scriptwriter for Turner Entertainment, part of the same corporate family as TCM, and he has lectured extensively on Shaw. He and Osborne apparently never discussed their relationship with the press, but they often attended theatrical events together.